In case you didn’t hear, 2018 was the wettest year on record in Raleigh. We even got more rain than the Washington state city known for dreary weather. The rainfall accumulation total included all liquid forms of precipitation (drizzle, fog, rain, and ice). More storms, unfortunately, mean more damaged roofs. 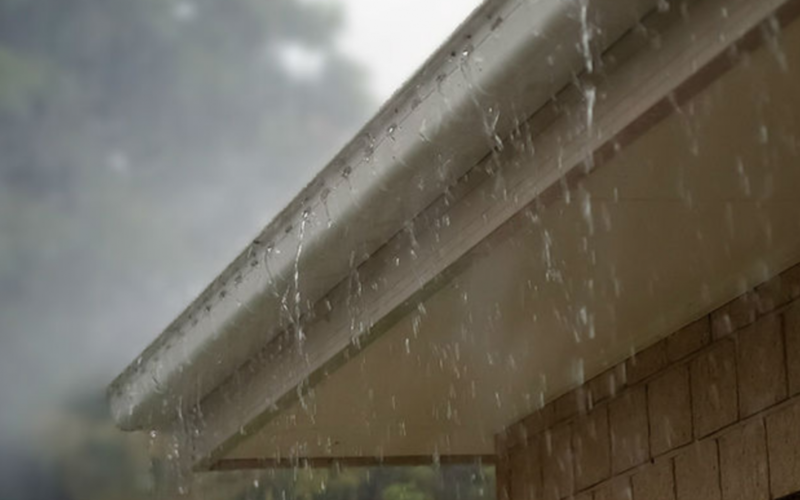 So if you’re seeing shingle problems as the result of ice and hail, or if you’re seeing water spots on the ceilings inside your home, roof replacement may be inevitable. In fact, if your roof has shingle problems over more than 30 percent of the surface, you shouldn’t put off getting a roof replacement. While nobody likes having to pay to replace a roof, a good roof protects your entire house (or commercial property) and everything in it. That means you shouldn’t put it off when the time comes. If you’re thinking of selling your home or business in the next few years, roof replacement is often the only major home renovation that can add to the resale value. After you hire Statewide Construction to install your new roof for your home or business, an experienced crew will arrive and do a pre-roofing inspection. We’ll move our trucks and materials safely to the site and set up all the equipment and supplies. The next step is removing your old roofing (shingles, vents, rake edges, valley and dip edging), leaving a clean surface to install the new underlayment. When we remove your old shingles and other materials, we’ll load them onto our trucks. For large jobs or shake roof removal, we might have a disposal bin that we’ll haul away your new roof is installed. After the old roofing is cleared away and the roof deck is cleared of debris, Statewide will inspect the surface for water damage. If we find damage, we will repair or replace that section before continuing with roof installation. Now the new roof installation can begin! Our crew will put in a drip edge along the eaves, using ¼” galvanized roofing nails. Then we’ll install an ice and water shield along the eaves and in valley areas. Finally, we’ll secure new vents in place. Now it’s time to place the shingles correctly, starting at the bottom left corner of the roof surface and working toward the right and upward from the eave line to the peak. Where several workers are installing shingles, one usually begins by installing shingles along the eave overhang. Other crew members begin filling in the field, working from bottom to top. Asphalt shingles are installed in alternating rows known as an “offset pattern.” There are two common variations for offset patterns for three-tab shingles: straight-up and staggered. Once the new roof is installed on your home, our crew will clean up your property. Part of the responsibilities of your roofing contractor is to remove all the debris and leave the property in a better condition than it was before they started. You will review the completed job and once we’re sure you’re satisfied, you’ll get a 10-year labor and materials warranty. No fine print! Statewide Construction LLC serves Raleigh and Wake Forest area with commercial and residential roofing solutions. If you have questions about your roof, you can call Statewide’s owner, Clay Curtis, a Licensed General Contractor and Raleigh native. If you aren’t sure whether or not your home or business needs a new roof, we’ll help you make a decision, and if repairs (instead of replacement) are all you need, we can help with that, as well.